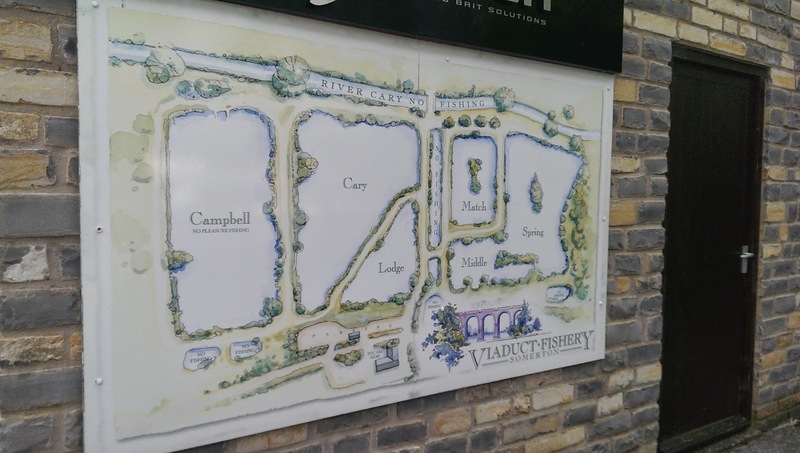 Everyone in the South West knows about the Viaduct fishery. It’s a well established, heavily stocked match fishery with multiple hundreds of pounds required to place in the matches. 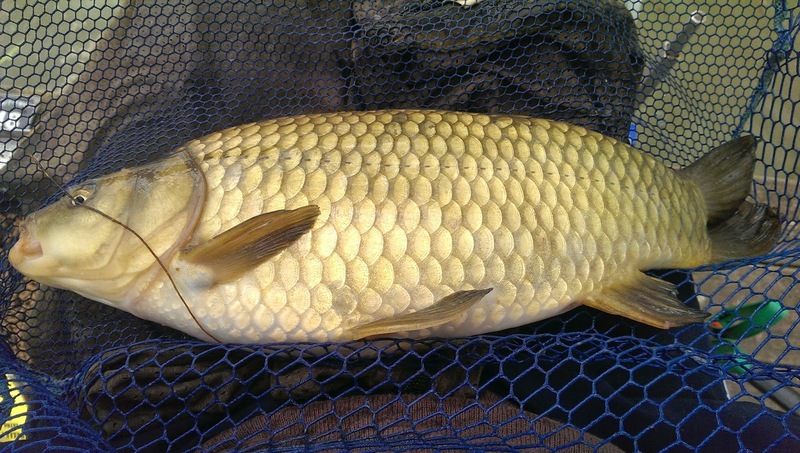 It regularly features in the Angling Press and has been a Fish’o’mania qualifier and Maver Match This qualifier venue. Clearly this would be the place to go to learn from the big angling names! 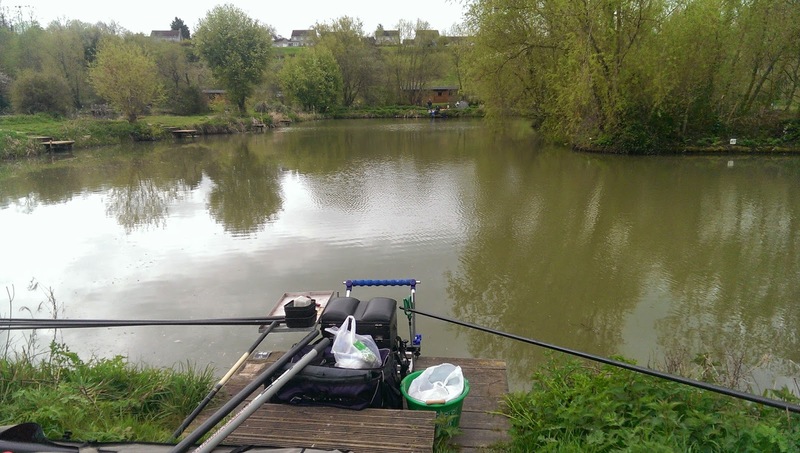 I found out that on Saturday (12th) there would be 3 matches on, but chatting to a few angling facebookers the night before persuaded me to give it a whirl. With 6 lakes on the complex I called in advance and was assured there would be plenty of room, with at least 2 other lakes open for pleasure fishing. So I set off, slightly later than planned to see what all this Viaduct fuss is about. Arriving at just after 10:15 it was busy, REALLY busy! A quick drive around the car park meant I would be parked in the overflow car park (which I have never encountered before on a fishing venue) and would have to wheel my gear down the road or through the car park to get to the open lakes. My fault for staying in bed! Walking into the lodge there was a fair bit of tackle available, but I wouldn’t really review the store as seemed incredibly specific to that venue and they very much sold to their strengths. This water was heavily fished using pellets, so it seemed obvious that they had stacks of pellets in all shapes, brands and sizes. They also sold a range of commercial gear, (i.e. 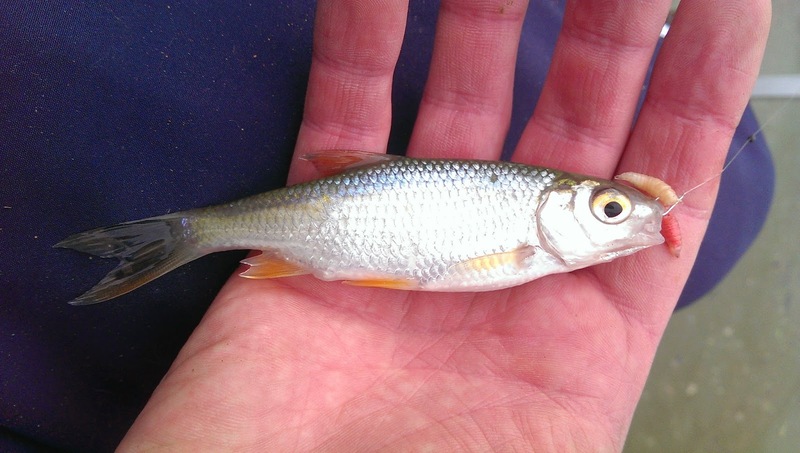 pellet bands, pellet wagglers, hi-tec mainline, wide gape pellets hooks etc), as well as a selection of live bait. I restocked on pellet bands and feed pellets, bought some maggots, a day ticket (£8) and made my way down to the lakes. My chosen peg (48) offered plenty of options. Speaking to a young angler who was fishing the Match lake, he told me that the fish in the Spring Lake were a lot bigger, but less frequently caught. In the Match lake however there was high concentrations of everything! That’ll do! I decided on peg 48, which was in the far left hand corner. There were a lot of options; 2 margin swims, feeder or waggler to the island and various open water positions. Plumbing up, aside for the small ledge about 2 – 3 feet out the peg was a uniform depth of 2ish ft. I would fish open water to begin, feeding the margin to my left for later in the day. Then if that failed, whip out the feeder or waggler rod. Fishing any further than 9 meters on the pole was slightly difficult (despite shipping sideways), as there was an electric fence about 15 – 20 feet behind, and I did not fancy a unnecessary shock. I shipped out with double red maggot and began the waiting game. I decided not feed the swim initially and see what fish were milling around. The float was stationary for less than 30 seconds before a greedy Roach gobbled down my hookbait. A handful of maggots over the top while playing the fish showed how many fish were in the swim, with swirls showing the silver fish were feeding up in the water. Shallowing up, 2 inches at a time, I finally started hitting the better quality fish at around 16 inches. Feeding small pouches of maggots twice, meant the smaller fish rose to the surface while the bigger ones lurked below to pickup everything they missed. The fish were now coming in at a rate of knots and before long I was catching them whip style on a top 3. 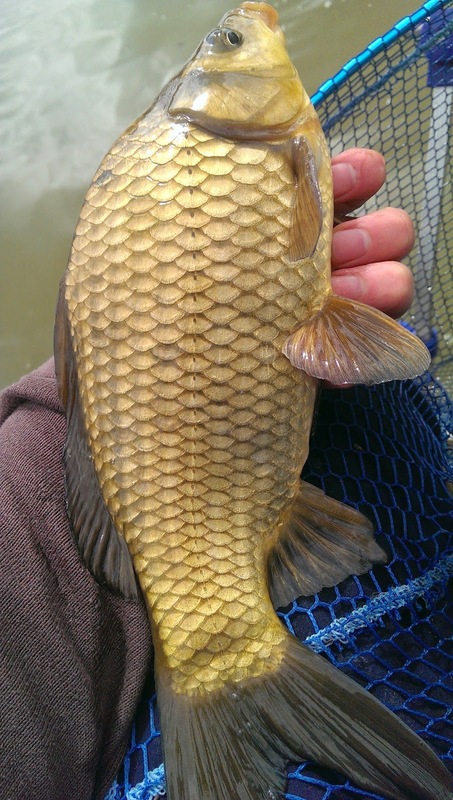 These fish didn’t discriminate on what bait, maggot, double maggot, 4mm pellet, corn everything was getting hammered. Within an hour and 1/2 of starting I had comfortably caught an easy 10lb of silvers, with the average stamp of fish being around half lb. These fish were so fun to catch but I wanted to know what else lurked below. Switching top sections, I haired on an 8mm pellet and shipped down the margin that I had been feeding. This time a minute passed before the float showed steady signs that something was tucking in to the bait below. The float vanished and I struck into something more substantial. It was an F1 around 2 1/2lbs. Clearly the bigger baits prevented the small ones from getting carried away and eating everything! I shipped back out, and had fishing déjà vu. A minute or so later the float vanished and I was shipping in another F1 carp around the 2 1/2 lb mark. F1 Carp are swimming hoovers, so I kept the bait going in to keep them in the swim, and this situation of waiting a few minutes for a greedy F1 to pick up the 8mm continued for the best part of 2 hours. 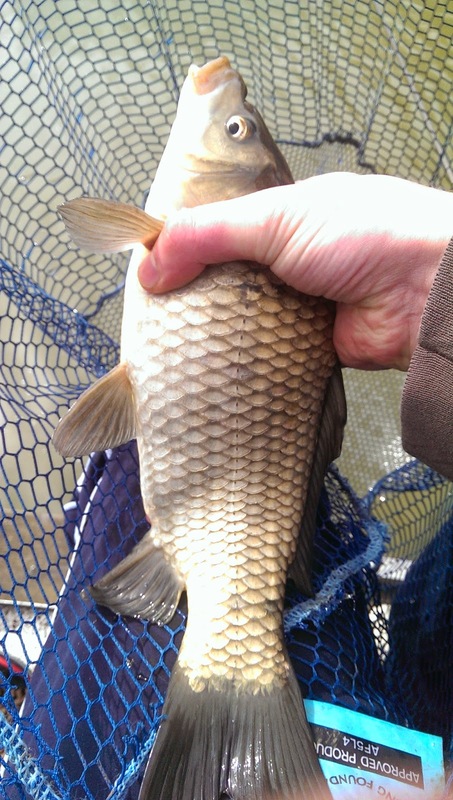 The biggest of them was up over 4lb and the smallest around 1½lb. Bit of a lump this one. Two hours of solid F1 bashing is tiring work, and I was getting really hungry. Normally in this situation I would either stick on a big bait (8mm was the biggest I had) sit and wait while I ate. In this instance I put 3 pieces of corn on the hook. This bought me an extra minute or so, before I was shipping in again, mid packet of crisps with another F1. These fish were ravenous, and after 30+ of these fish (with one rogue bream) the young angler who I spoke to initially came over and we chatted at length about the matches on this venue and fishing in the area. While we spoke I caught another 3 fish and missed 3 more. The action was nonstop and it was easy to see (even without the matches) why this venue was a very busy one. 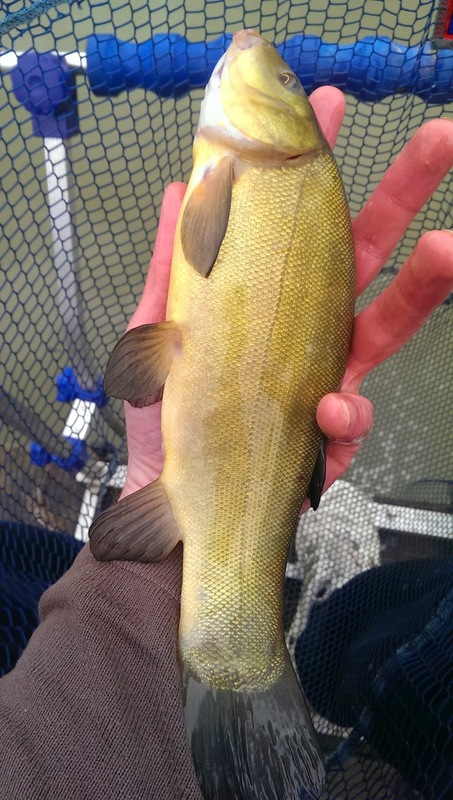 A few Spring Tench to finish off the session! In the last hour or so I stuck with the 8mm pellets, but topped it off with a piece of sweetcorn. This didn’t perturb the fish at all and by the end of the day I had caught another 8 carp and 2 token Tench for good measure. I packed away and after loading the car there was 15 minutes of the match left before the “All out” was called, so I thought this would be a good time to pick up a few last minute pointers. Of the 3 people I watched 1 was frantically changing from swim to swim going from pellet waggler to pole and back again, trying to catch a couple more fish. The other 2 were busy playing sizable Carp (1 definitely into double figures), both were also using “pulla-bung” systems which is something I am yet to try. It does mean (from a viewing perspective) that playing a fish becomes slightly more complicated, as you physically pull the elastic back through the open joint section of your top kit. It must be effective though as glancing further up the lake, a lot of the anglers seemed to be doing it. As the “All out” was called I headed to the car and tried to estimate the weight of the bag of fish I caught. A quick bit of mental maths and it was over 100lbs! A truly great day and a fantastic few hours fishing. The Viaduct is a great venue and I am very keen on returning and fishing some of the other lakes where the bigger fish can be found. Most specifically Cary lake, which holds the prospect of many PB sized fish for me (until next time!). Although parking in the main car park was tough, there were 3 matches on and I still had plenty of space in the overflow car park. The lodge sold some food/drinks as well as the usual fishing tackle mentioned above. There were also toilets, which makes a change from finding a bush or tree! The pegs were all well spaced and comfortable and despite the electric fence being close, there was enough room to ship a pole in and out with ease. My only complaint would be the £8 day ticket cost. It’s the most expensive fishery I have been to recently, but I suppose they can charge that for the sheer quantity and quality of the fish you will catch. Accessability – **** (Sat Nav leads you to a housing estate, fortunately they have signs from where the Sat Nav finishes. Also if there was a match on you can park right next to lodge lake, and there is good access to all the other lakes. 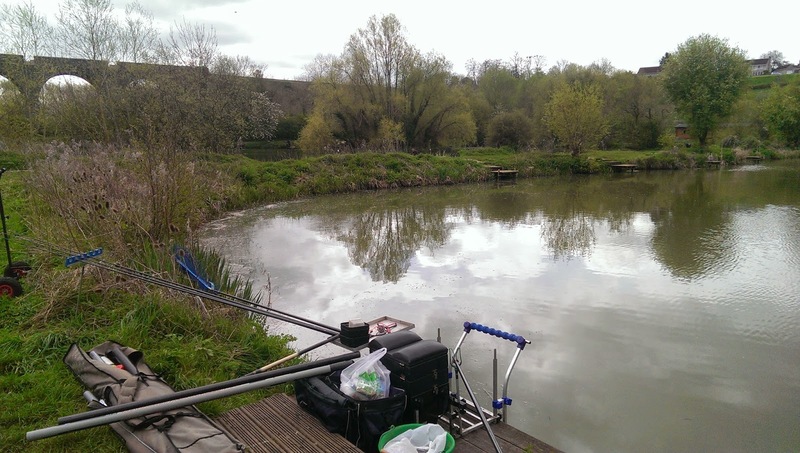 Disabled Access – *** (The ground although flat was covered in shingle which would make pushing a wheel chair difficult), that being said, fishing on the pegs next to the car park should be not problem. Once on them any angler would be incredibly comfortable.